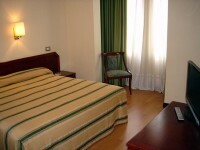 The accommodations listed are samples of the accommodations available on this route. Hotels and country cottages have been carefully selected for their location, comfort, character, food and friendliness of the staff. Your accommodation will be confirmed approximately one month prior to departure. As much as possible, we try to book as close to the Camino route as possible. If no central accommodation is available, we may need to book an accommodation slightly off route (up to a max of 10km from the route). In this case we organize free transfers to and from the route. BOOK EARLY for best accommodations! The Pazo de Mendoza is a renovated eighteenth-century building facing the sea in Baiona, in the province of Pontevedra. It offers a famous restaurant and rooms with free Wi-Fi and LCD TV. All rooms at the Hotel Pazo de Mendoza are equipped with heating and parquet floors. The private bathrooms have a hairdryer. 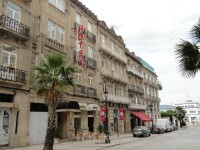 The hotel’s gourmet restaurant specializes in Galician food. There is also a bar that serves snacks and drinks. The reception of the Pazo is open 24 hours, which provides more flexibility to your stay. You can also rent bicycles at reception. The Monterreal Castle of the city is an 8-minute walk from the hotel. You can take a ferry to the National Park of the Atlantic Islands of Galicia from Vigo, which is 20 km from Baiona. 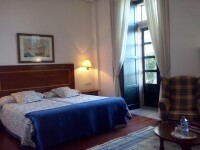 Located in the tourist and commercial center of Vigo, next to the old town and close to all its places of interest. A few meters away is the La Piedra market and the maritime station, where the large cruise ships dock and the boats that lead to the Cíes Islands natural park set sail. The hotel has 30 comfortable rooms equipped with the latest in quality and services, to make your stay in our city a pleasant and satisfying stay. Surrounded by a cozy and quiet atmosphere, it makes the hotel a place designed for both business people and tourists, an ideal starting point from which to discover Vigo. As Chivas is a country lodge from the beginning of the 20th century. It is located in a farming land of 5,000 square meters, totally surrounded by stone walls as old as the house, where 2 granaries are located (the jewels of the house). It is a two-story house. The dining room is located on the ground floor.On the first floor there are 6 rooms with their own access to the dining room for more privacy. All rooms in As Chivas have a spacious bathroom, TV and provide all comforts. The Plaza de la Verdura, located in the heart of the monumental area of ​​Pontevedra, is the cozy space in which our hotel is located. Our facilities offer customers a unique space to enjoy a city distinguished by its beautiful corners, its old town, its gastronomic offer and a wide range of cultural and leisure activities. Accommodation at the Hotel Rúas is a guarantee for tourists and visitors who want or need a comfortable and central establishment, very close to the beaches and other tourist attractions of the Rías Baixas and Galicia. 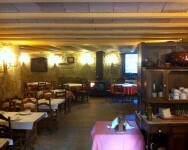 The Rúas restaurant, offers a wide range of Galician specialties, such as soups, breaded octopus, seafood, fish, and meat. 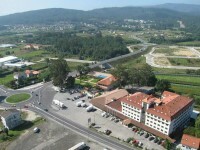 This hotel is centrally located in Caldas de Reis near the Camino trail. This hotel is centrally located in Padron near the Camino trail. It is one of the few hotels with a swimming pool! Light, warmth, details. In Hospedería San Martín Pinario you can enjoy the unforgettable experience of living in a XVIth century monastery. Double & single rooms as well as accommodation for pilgrims. Varied solutions wisely recreated to give an unforgettable stay, however you want to experience Santiago. The calm of the cloister at sunset, read a book while sipping tea in the garden or enjoying a traditional ice cream in the reception hall, are some of different atmospheres that can be enjoyed in a place where every stone speaks of history. This Hospederia has 81 rooms with complete en-suite bathroom, two restaurants, different meeting & conference rooms, coffee and TV lounges and 24h reception.